If you think of limoncello as a Lysol-scented, saccharine-sweet liqueur, think again. While many store-bought bottles are suspect, homemade is a whole other story. Smooth and bright with zesty lemon notes, a bottle of limoncello makes for an excellent edible gift for cocktail lovers, particularly when paired with a bottle of sparkling wine for a limoncello-Champagne cocktail. it’s a very low-fuss process, and it is easy to make in large batches to be divvied up in multiple gifts. Just whatever you do, tuck away a bottle for yourself as well — your cocktails will thank you . 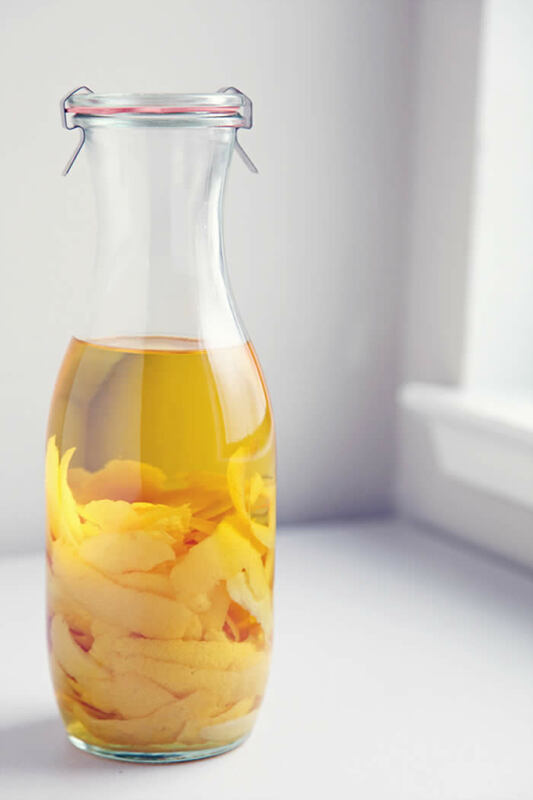 . .
For gift-worthy presentation, decant the limoncello into a swing-top bottle. 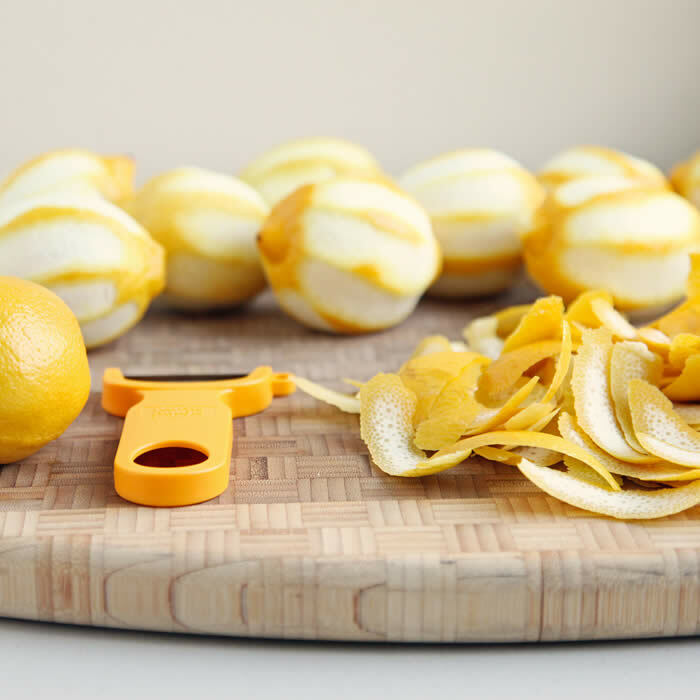 Peel wide strips of lemon zest (avoiding as much of the white pith as possible) with a sharp vegetable peeler; reserve lemons for another use. 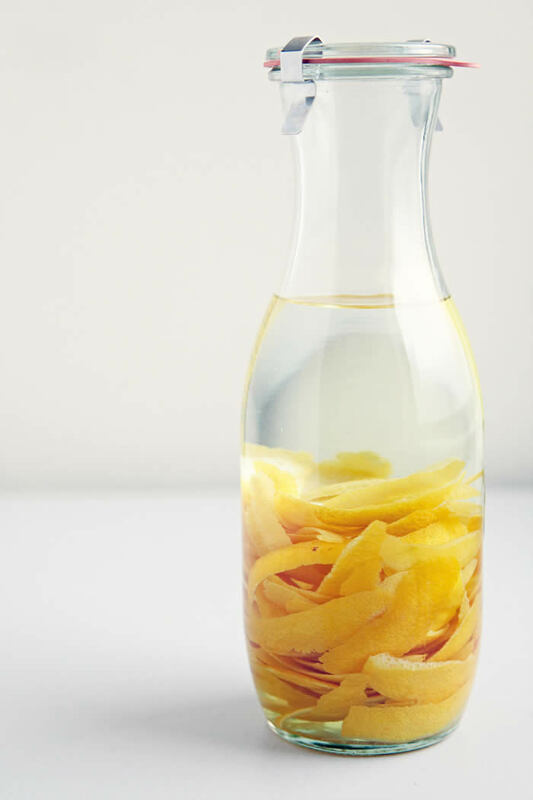 Add the lemon peels to a 1-liter (or larger) airtight container and top off with the Everclear. Let stand at room temperature in a dark place for at least 3 days and up to 1 week. After the infusing period is over, stir together the sugar and boiling water until the sugar has dissolved; allow to cool. Combine the lemon peel/Everclear solution with the sugar syrup in an airtight container (two if necessary, space wise) and refrigerate 1 day. Strain out the lemon peels and bottle. Store in the freezer for up to 3 months.